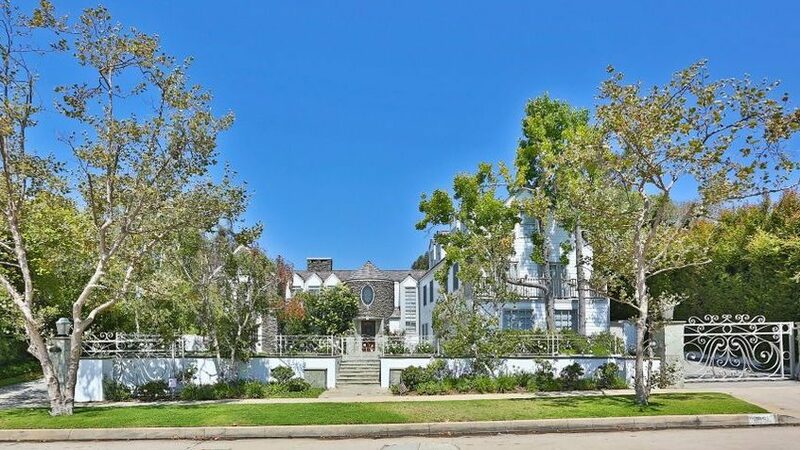 Listed by Christophe Choo of Coldwell Banker Previews International in Beverly Hills at $48 million. 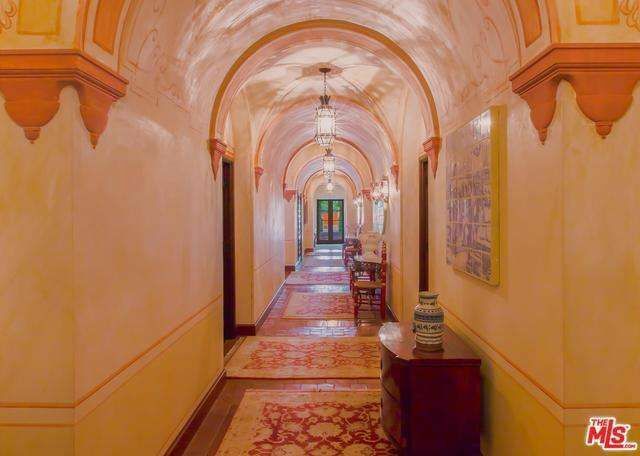 Hacienda de la Paz is an awe-inspiring work of art and engineering. Positioned in L.A.’s preeminent equestrian community, the authentic Spanish estate is the only U.S. residence designed by world-renowned architect Rafael Manzano Martos. 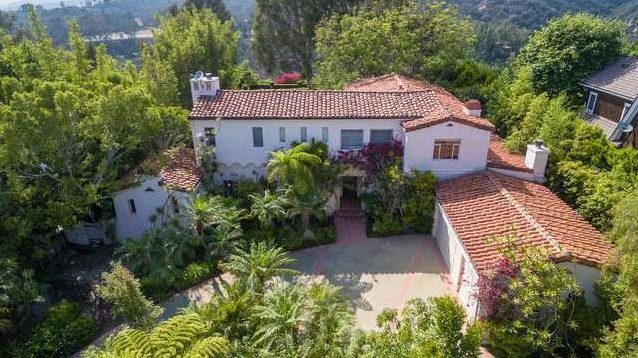 17 years in the making, this private palace is perched 1100 ft. above L.A. at the crest of the Palos Verdes Peninsula in the 24 hr. guard-gated city of Rolling Hills; one of the safest and wealthiest cities in America. Breathtaking and unencumbered 180-degree panoramic vistas encompass the beaches, downtown and the San Gabriel Mountains. Amenities include a 10,000 sq. ft. hamam spa fit for a king, 15,000 sq. ft. neoclassical grand ballroom, 2 tennis courts; indoor hard court & outdoor clay court, 2 swimming pools; indoor & outdoor, access to 57 miles of equestrian & hiking trails, guesthouse, bocce court, gym, yoga room, wine cellar, catering facilities, geothermal heating & cooling system, elevators, 6 car garage and motor court. Approx. 8 acres. 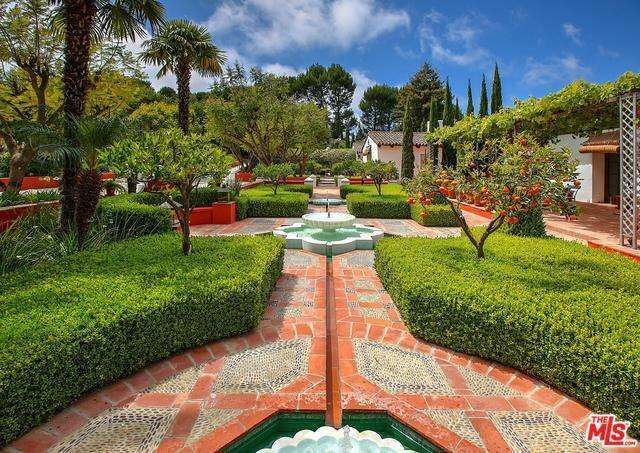 Hacienda de la Paz is the most misunderstood mansion in Los Angeles. When people hear that 31,000 of its 51,000 total square feet are underground, they assume it’s a bizarrely built bomb shelter. Not so, dear reader. But there is a pragmatic reason for its subterranean sprawl: local politics. The estate is located in one of the wealthiest suburbs of L.A., a gated hilltop called Rolling Hills, where zoning restrictions prohibit homes taller than one story, so as not to block pristine ocean views. 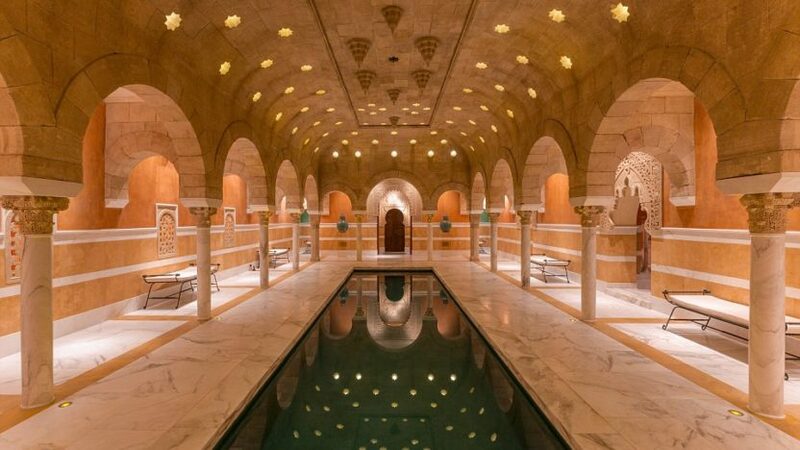 To comply, owner John Z. Blazevich spent 17 years excavating downward to create his dream estate, which includes nine bedrooms, 25 bathrooms, a guesthouse, two tennis courts, and two pools. Envisioning an Andalusian-style country estate similar to those in Cordoba or Seville at the turn of last century, Blazevich hired architect Raphael Manzano Martos, who restored a number of Spain’s grand palaces and served as curator to Spain’s King Juan Carlos. The regal result is the only private residence Manzano Martos ever designed in the Americas. 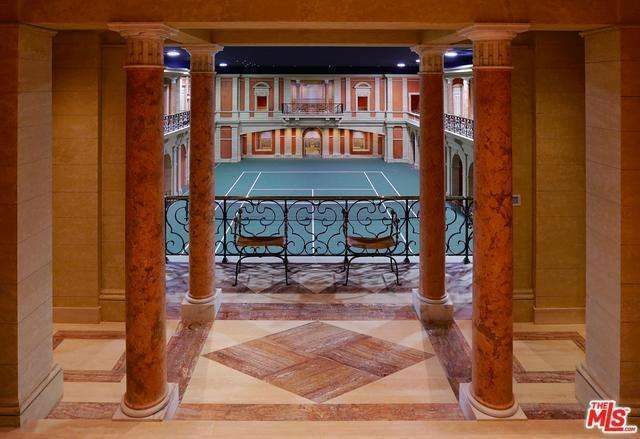 There’s also a 10,000-square-foot underground hammam, or spa, and a 15,000-square-foot indoor tennis court that doubles as a ballroom. Thousands of international craftsmen were employed to make the dream a reality, including one painter who lived and worked on-site for a decade. Three hundred Moroccan tribesmen worked on the intricately carved sandstone ceiling, archways, and capitals in the hammam. Artisans from Spain created the wooden interlocking ceilings, masons from Portugal worked on the limestone bricks in the driveways, and Spanish and Indian silk and wool experts wove the custom carpets. For some people, the joy is in the process, not the product. 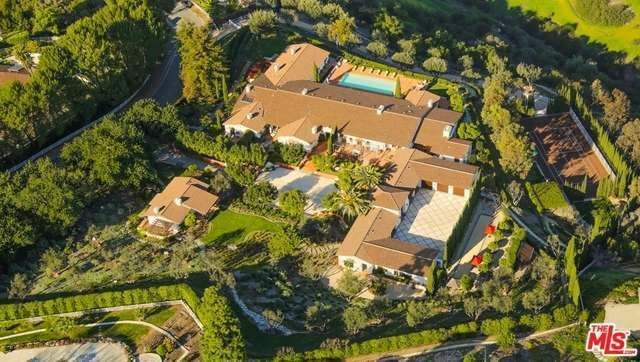 Once his dream was gloriously complete down to the last Valencia orange tree, Blazevich put the 8-acre estate on the market. 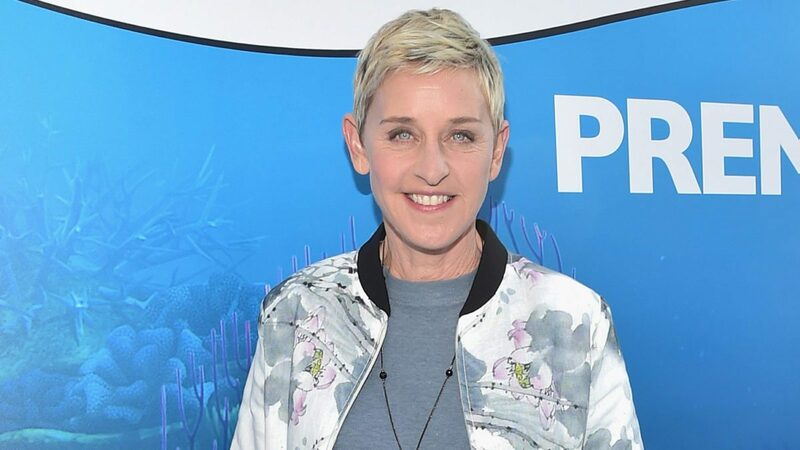 Listed for $53 million a few years ago, the asking price was dropped to $48 million a couple of weeks ago. However, when you actually tour the grounds, as we did (covering only part of it over three hours), you begin to realize that it’s nearly impossible to put a price on it. We’ve highlighted a few of our favorite features. Blazevich is a seafood magnate, and his fiancée, Alexandra McLeod, graduated from Le Cordon Bleu. So Hacienda de la Paz is equipped with four kitchens and two kitchenettes; several outdoor food prep spaces, one with a pizza oven; facilities for pressing oil from olives harvested on the property; and more than 100 fruit trees, including lemons, oranges, avocados, figs, and, of course, olives. There’s also a large vegetable garden, and herbs are planted around the estate, even between the steppingstones, so their fragrance will rise to greet you as you stroll the grounds. There are many nods to the Catholic Church, but they are more artistic and whimsical than devotional. In the ladies’ guest bathroom on the ground floor there’s an ornately carved confessional door between two stalls, perfect for chatting. There’s also a chapel with hand-painted murals and a confessional, meant for reflection and meditation rather than ceremony. These features keep with the theme of a true Andalusian estate, which historically would have accommodated a priest in residence. Heating and cooling systems run on geothermal power, which also heats the hammam pool. Blazevich says he has reduced his energy bill and carbon dioxide emissions by 65%, compared with a conventional HVAC system. And because designers used the same classical techniques employed in Andalusia’s great estates—sturdy adobe walls and carved wooden screens covering most of the windows—the air-conditioning system is hardly ever used. Millions of dollars have been raised at charity events held in the subterranean marble ballroom (which is also a tennis court) built into the side of the hill, which has vehicle access for deliveries and exotic autos to be displayed. The 10,000-square-foot hammam with whirlpools, massage rooms, and tearooms with silk-lined walls is perfect for “ladies’ day” fundraisers. The rest of the grounds can accommodate hundreds of people at a time. So with all these custom, luxurious features, why the heck would the owners want to part with it? “It’s a little big for just the two of us, don’t you think?” Blazevich asks, explaining that now that his son has left the nest and the artisans have completed their work and gone home, the facilities don’t get used as much as they deserve. Blazevich and McLeod are ready to move on and spend more time with family in Croatia. 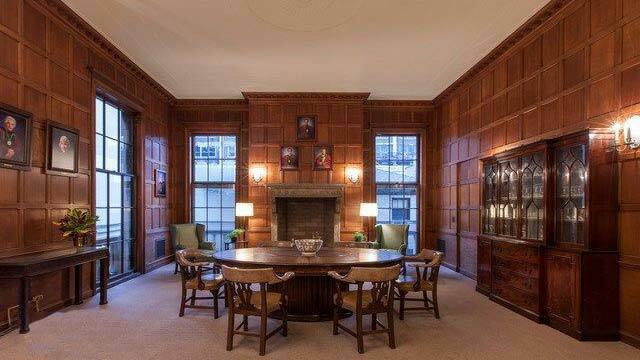 The property is so accommodating, a multitude of possible uses comes to mind: an arts retreat, a foundation headquarters, or perhaps the bastion of one of the world’s great families. We’ll keep you posted. The post This Sumptuous Underground L.A. Mansion Is No Prepper Palace appeared first on Real Estate News and Advice – realtor.com. 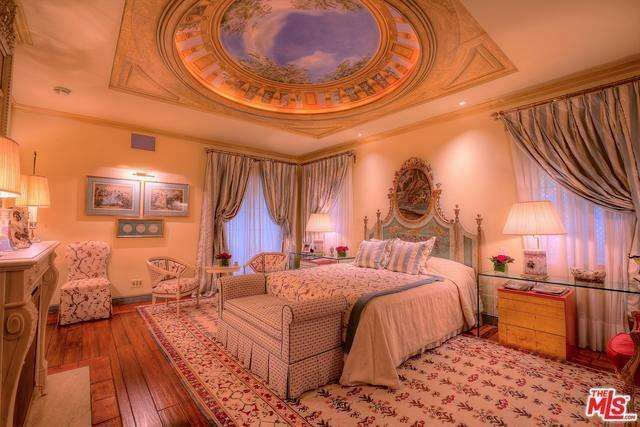 Top stories this week on luxurious estates, homes and properties. Luxury Real Estate Headlines: First Week in September 2016 published first on Sotheby’s International Realty | Blog. In the case that you turn into a mogul soon, you might want to own a luxury home with amazing architecture and fabulous interior design. The vanity that is yelling withing you should have extravagance considered on top of it. Cutting edge, contemporary architecture keeps on getting our consideration and core interest. Today let’s get a glance at some of the most luxurious homes with stunning architecture and interior design that we’ve seen in for a moment.